Flexible: create constrained, unconstrained or static cut-off grade and production rate policies. Metal price can vary over time, so are the various costs. Easy to use: intuitive GUI front-end that displays and compares multiple policies side-by-side. 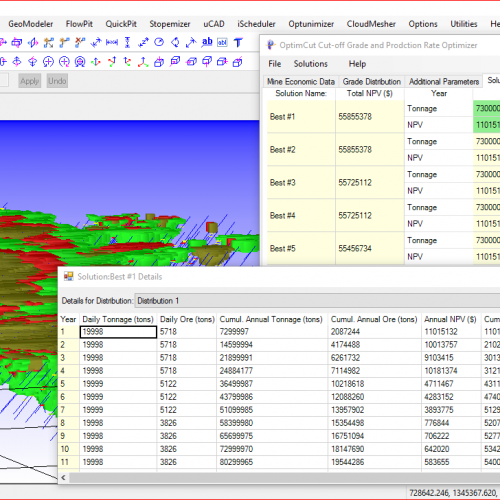 Import: imports grade distribution(s) from Final Pit output of FlowPit and Stope Design output of Stopemizer. 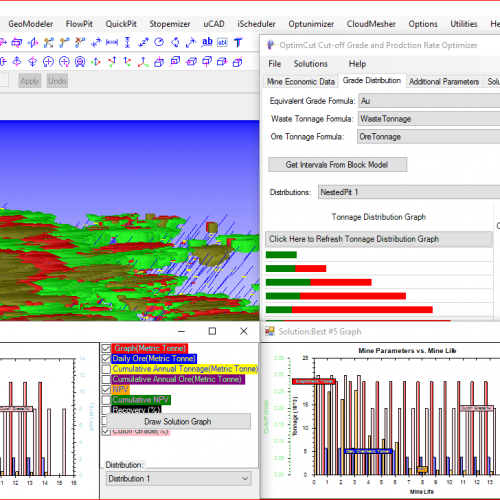 Export: exports policies to CSV files; exports to FlowPit for open-pit pushback scheduling and to Stopemizer for underground scheduling.